My dear wife Karen’s careful clipping up front at A Bitty Better in the Liverpool neighborhood of Galeville has paid off again this month of August. 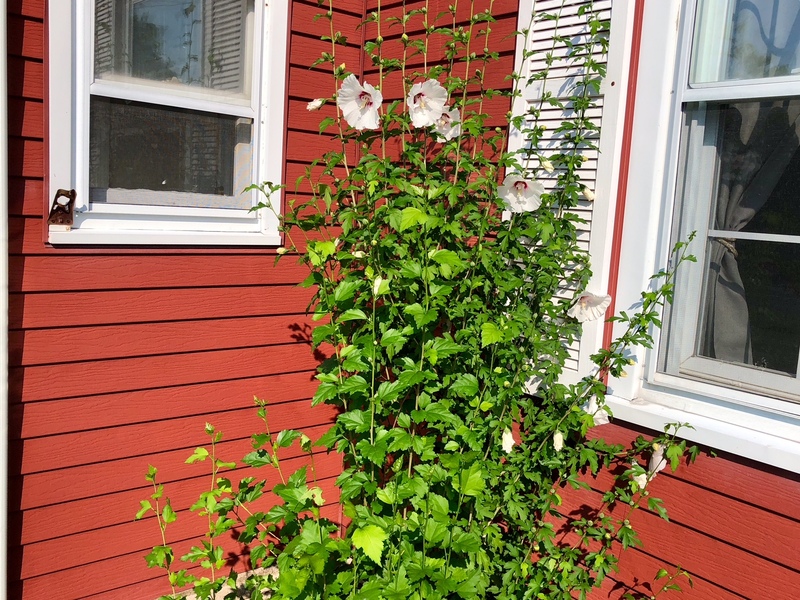 She asked if I’d looked closely at the tallest of our front yard garden plants last weekend. 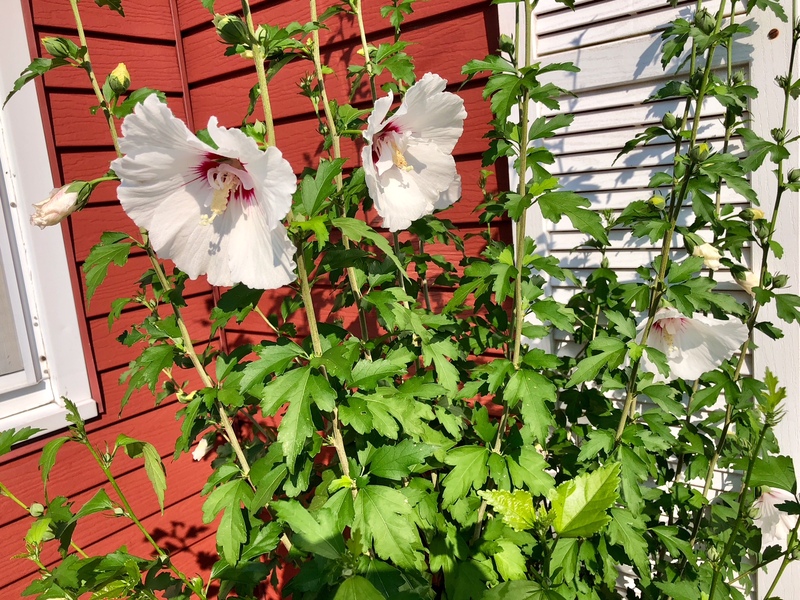 The Rose of Sharon had bloomed, big and bright. I had to get up close to those petals. The rest of her layout in that section looks darn nice, too. 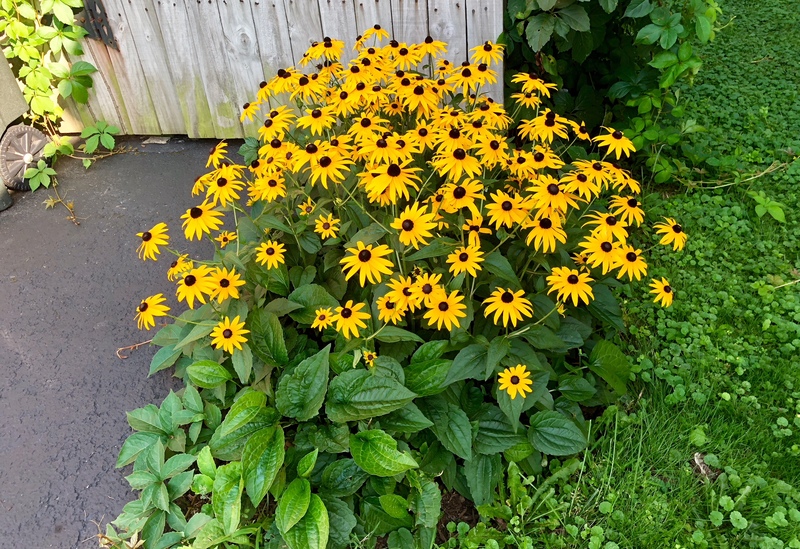 I’m not sure if these Black-eyed Susans on the far side of the driveway were put in by our neighbor or the previous owner, but I am certain that they come up with a dramatic beauty. Thanks, Scott. You know who quickly flower time goes by back here in CNY! i love it all, you know what a flower fiend i am! yes, bring it on! i look forward to your garden in size and beauty each year. I am loving it all! You know how much I enjoy flowers and gardens! 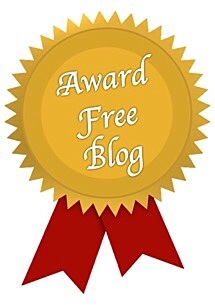 Yes, I see it at your blog for sure, Nance. Very nice! I now know what hard work it is. Kudos to Karen. And hats off to you, CM. Gardener sweat pays off in colors. Actually, I got my daughter to do most of the hard work at the beginning of the season. Now, all I have to do is hoe once in awhile and water as necessary. I can handle that. 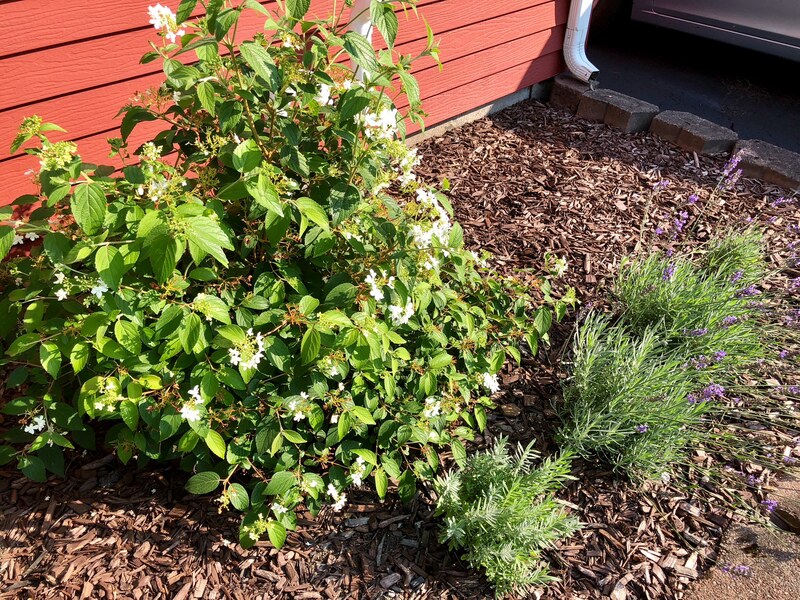 Rose of Sharon appears to love A Bitty Better, they go beautifully together. Summer joy, MBC. Thank you.